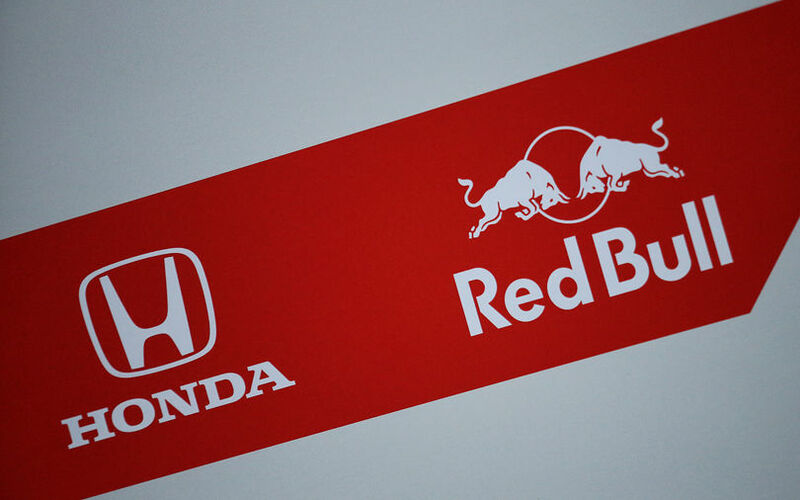 Red Bull Racing have announced an agreement with Honda Motor Co Ltd to race with the Japanese manufacturer’s power units for the 2019 and 2020 Formula 1 seasons. The team therefore joins sister team Toro Rosso after their switch to Honda ahead of the 2018 season. Do you know if it's true that the RBs were able to do T1 with the DRS engaged? If it's really true than I wonder how was the balance without the DRS. Moreover, it's another indication that most of their rear downforce are generated by the under floor. That would also explain the drivers comments about being slower than Ferrari even with the DRS engaged. A smaller wing will have a smaller DRS effect. Initialy they were, but they wanted to lessen the gap to Ferrari/Mercedes and reduced the downforce to compensate their topspeed. Q: (Stefano Mancini – La Stampa) Kimi, will you help Vettel to win his championship this year? Kimi Raikkonen: I can only drive one car, obviously. @2018 Singapore Grand Prix drivers press conference. Based on the performance of the Honda so far this year, that actually seems like a reasonable claim. Can't figure out if sarcastic or being serious. Why? Doesn’t sound unbelievable to me. Exactly, TR haven't been slow in a straight line this year and driveability has appeared to be decent also. If we consider that 1% is ~10 bhp, Honda are missing around 20 from Renault and McLaren, because Red Bull still has to unlock more power from Renault with fuel update. So 3-4 tenths there? Honda were getting smashed last year, if they can keep the meaningful updates coming, then they have a good chance of leaving Renault behind and catching Mercedes and Ferrari. So .. with the midpoint of the season now passed, Im of the opinion that Red Bull should now put all their resources into the 2019 project. Red Bull can pick up some more wins with the current car, most likely in Hungary and Singapore and be reasonable satisfied with the season; 5 wins would be decent and sponsors would be happy enough. It's going to require an enormous effort from both Red Bull and Honda if they seriously want race for the title next year. Personally I don't see it happening, but if they aim to do so than they'd better start immediately. They're not going to have the most power, or the best reliability .. so Red Bull Honda needs to get everything else pretty much spot on. Have next years regs been set in stone yet though? Im not so confident of a strong result in Hu gary though. Alot of people thought they could win last year, but the resurfacing changed that. It seems that apart from the wing differences the ethos is the same, so it would be evolution rather than revolution. Most of what they develop this year will be usable next year, abet with some modification. The Honda (allegedly) being smaller should not be that big a difference as it would mean reductions rather than 'lumps'. Having said that, there is always unforeseen strife, even after they nave studied it in the STR. Red Bull Racing is not pleased with the attitude of Renault during the German Grand Prix. Daniel Ricciardo received a grid penalty and immediately wanted to replace all possible engine parts. Renault delivered only three of the six desired parts. This happened before the Australian outburst on Sunday, but did produce some crooked faces in the Red Bull camp. Because of the rigid attitude of Renault, the team was unable to 'benefit' optimally from the collected grid penalty. Ricciardo was already behind and could therefore better of all remaining parts - including the V6 combustion engine, turbo and MGU-H - a new assembly. This could have prevented future grid penalties. However, Renault had already decided not to deliver these parts to Ricciardo at Hockenheim. When Red Bull Racing team boss Christian Horner was asked about the remarkable news before the race, he expressed his frustration. "That is a question for Renault, as the normal strategy would indeed be to replace all possible parts at once." It seems to be the first expression of dissatisfaction among the French, after it became known that Red Bull Renault will trade for Honda in 2019. Renault frontman Cyril Abiteboul does not want to know anything about this. "We first have to find out what happened here, and there was no reason at that time to exchange the ICE, for example," he says in conversation with Motorsport.com. "It is comparable to talking after a race, it is also easy to talk and you can reinvent the wheel on for example the strategy in rain or dry weather." Abiteboul also wishes to emphasize that the incident had nothing to do with the availability of the parts. "There is nothing wrong with the availability of parts, first of all we are just in between two versions of the power source and then it is better to wait for Spec C [the new version]", he explains that Renault would prefer to needs to deliver updated version. "Secondly, in terms of mileage, this power source also had sufficient life span to be able to save it to Spec C."
Abiteboul does not dare to say when the updated power source is ready for use, but expects that it will certainly not be earlier than the race at Spa. He also acknowledges that the communication towards Red Bull Racing with the knowledge of now could have been different. "With the information we now have, our answer seems completely inappropriate, but it is good, with a crystal ball you can invent the wheel as clairvoyant and do all kinds of things differently", he still thinks the current criticism is easy. Looks like Renault finally decided they'd had enough of RBR's bitching. Go Renault!